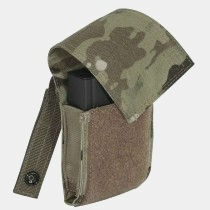 The .308 mag pouch holds ten round .308 magazine. 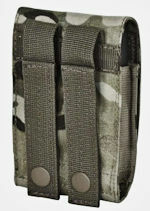 Includes adjustable flap, elastic sides, and MOLLE straps. Fits a slinge 308 10R rifle magazines such as Sako TRG 10R 308, Tikka CTR 10R 308, HS Precision 10R 308. Elastic sides stretch and the velcro flap adjusts to fit a wide range of decives or gear.